For those who participated in the “Ice Breakers” (ages 6-11 years) children’s winter reading club, dinner will be on us tonight! 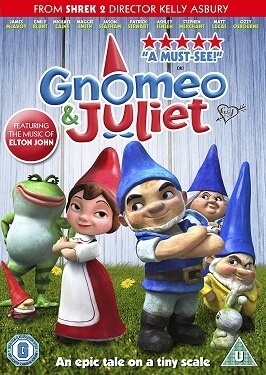 We will eat pizza, decorate and and eat a Valentine’s snack, and then enjoy watching the movie Gnomeo & Juliet (PG). Caregivers may drop their child off and pick them up when the celebration ends. A permission slip must be filled out and dropped off at the Children’s desk prior to the celebration. No younger siblings, please. Movie run time is 84 minutes.